A condemned man’s benevolent act turns out to be a desperate bid for freedom in this action thriller. 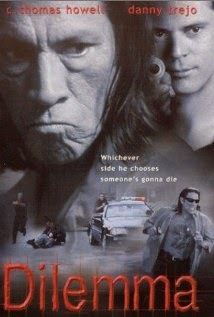 Rudy Salazar (Danny Trejo) is a multiple murderer who has been sentenced to death, but an expected act of generosity takes him off death row. His sentence is changed to life without parole in exchange for donating his bone marrow but he escapes on the way to the hospital and begins another reign of terror. The LAPD officers hunting him down are hot on his trail but they have strict instructions to capture him alive. A dilemma to keep a young girl alive or keep a hundred people safe and unharmed haunts the police officer’s character. With the tagline: Whichever side he chooses, someone’s gonna die. Let us know what you think of this movie! For more movie entertainment, watch free movies online at Viewlorium.com!